Last spring, Sarah Hafiz studied health psychology with Professor of Psychology Christina Abbott at Franklin & Marshall College. 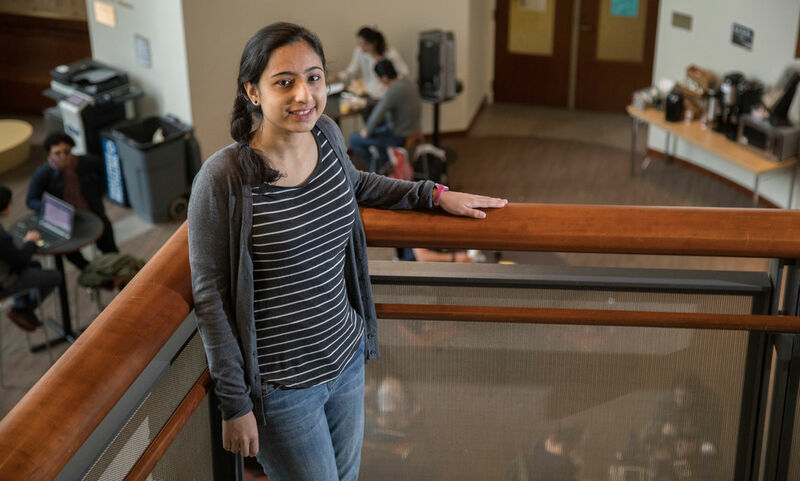 A senior public health major on the biology track, Hafiz was captivated by what she learned in that course and wanted to combine her academic interests with a dedication to public service. Her resulting research, funded through a Leser award, is her senior independent study with Abbott. In August 2016, Hafiz and her sister, sophomore Sonia Hafiz, both Lancaster natives, went to Jordan to work with Syrian and Palestinian refugees. “We noticed how important it was to help refugees in our own community, [and] we wanted to see the crisis up front,” she said. In 2012, the U.S. Bureau of Population, Refugees, and Migration (PRM) announced a new initiative aimed at resettling approximately 50,000 Congolese refugees in the U.S. from 2013 to 2018. In 2016, 16,370 Congolese refugees were resettled in the U.S. At 19 percent, they made up the largest percentage of refugees resettled that year. Hafiz worked with Bethany Christian Services, a local refugee resettlement agency, to survey about 50 Congolese refugees in Lancaster. She asked them about trauma, mental and physical health, and how they would rate their resettlement process. Her goal is to identify their needs so they can be best addressed by service providers. “The largest challenges I faced were seeing if the Congolese community leaders would get on board with the project," Hafiz said. "I wanted to make sure that the questions didn’t trigger a traumatic experience. There were also technical difficulties finding a common time when these groups gather so we could have the highest yield possible of people included in the study." She looks forward to sharing the results.